Disclaimer: This is part of a series of reviews of Anime which I think people should be more aware of. 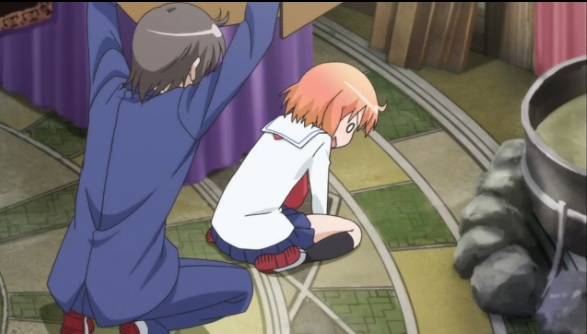 For that purpose I'm using the tag Ani-NOW, meaning Anime No One Watched, I'm tweaking the review format a little to adjust to the objective of the review series: Try to make people interested in watching the show without spoiling too much. The series ends on a high note, and I have to admit it's pretty satisfying with a lot of character development and a nice wrap up for most of the problems presented during the series. Also this is probably one of the best First Episode-Last Episode pairs out there. The middle part. It seemed like the people directing this Anime didn't knew what to do with half of the series and you will notice this in the middle part. As I mentioned in the worthwhile section, the start of the Anime is good, and the conclusion is very nice and satisfying, but the middle part feels forced and pales in comparison. We still get some character development though, but you don't need that much airtime to do so. The premise is pretty interesting, and the first episode was very promising, but the truth is the series doesn't reach its full potential and at times it fells flat on its face, specially in the dramatic parts, which is a shame. Still above average I would say, but not by much. OK, I praised the mood swings, but sometimes it may go too far, specially everything that involves club activities. I mean you have this cute romantic comedy featuring the serious relationship of the two characters as they face through various adversities together thing going, but the club antics just try to make characters look funny, making the experience shallow for some. 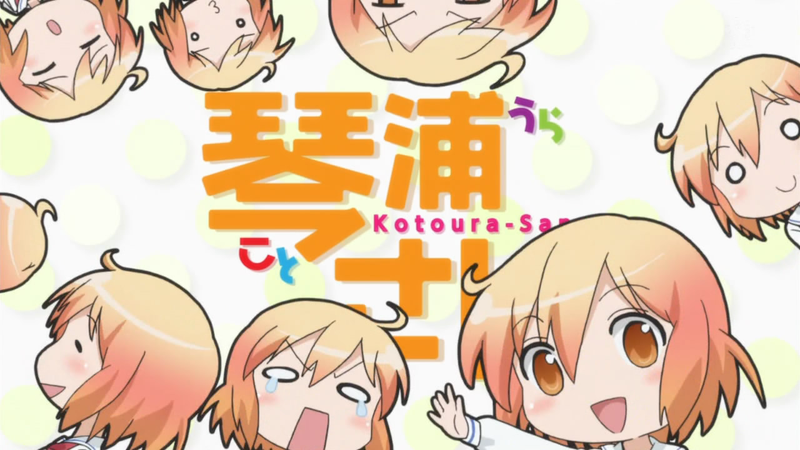 In short: Honest and genuine series that really likes to go from depressing to hilarious at every chance, but falls short in execution, specially at the middle chapters. Still, the first and last episodes makes it worth it. 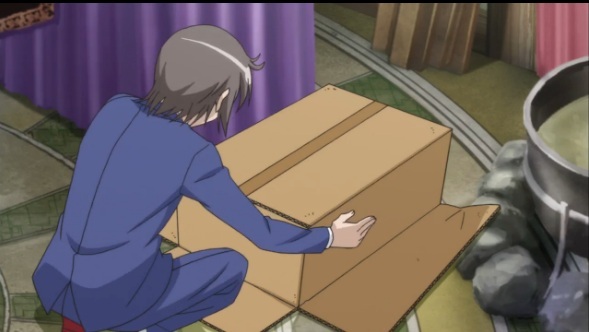 In Episode 2, we can see our Main Character Kotoura, trying to sneak away from Manabe hiding in a cardboard box, but since she's not Snake she fails. Yuriko's mother Chizuru Mifune was named after a Real Life clairvoyant, Chizuko Mifune, they even share the same fate.